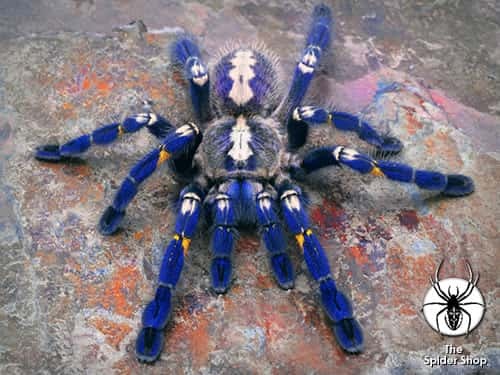 The Beautiful Gooty Sapphire Tree Spider is a type of Tarantula. 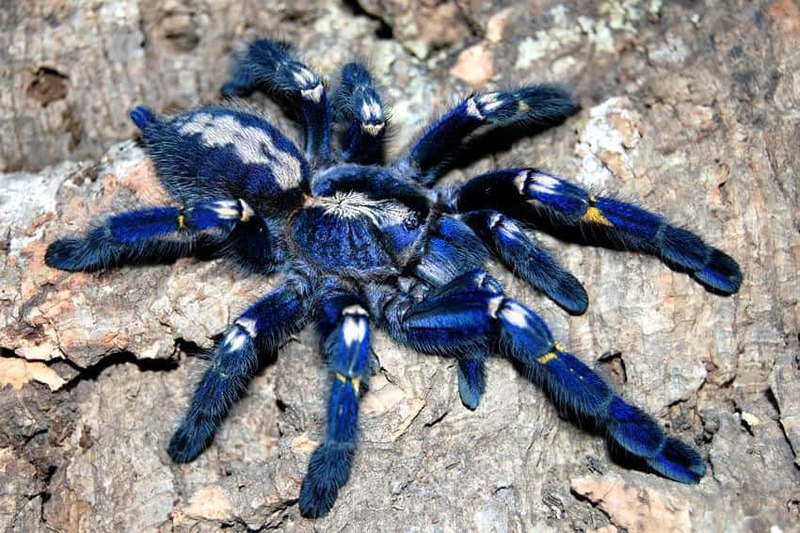 It is actually called the Poecilotheria metallica but it is also sometimes called metallic tarantula, peacock parachute spider, peacock tarantula, salepurgu, Gooty Sapphire or Gooty Tarantula. 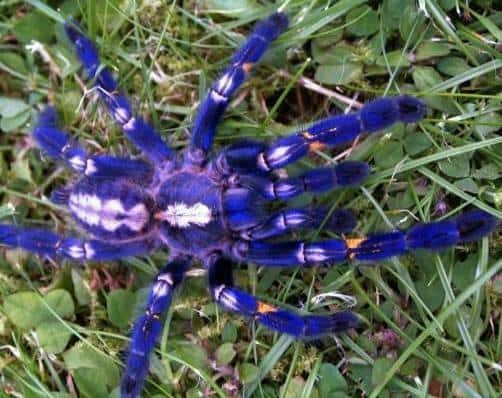 This a very rare spider that is currently threatened with extinction. It has only been found in a small forest area of less than 100 square kilometres. It's natural habitat is a deciduous forest in southern India. 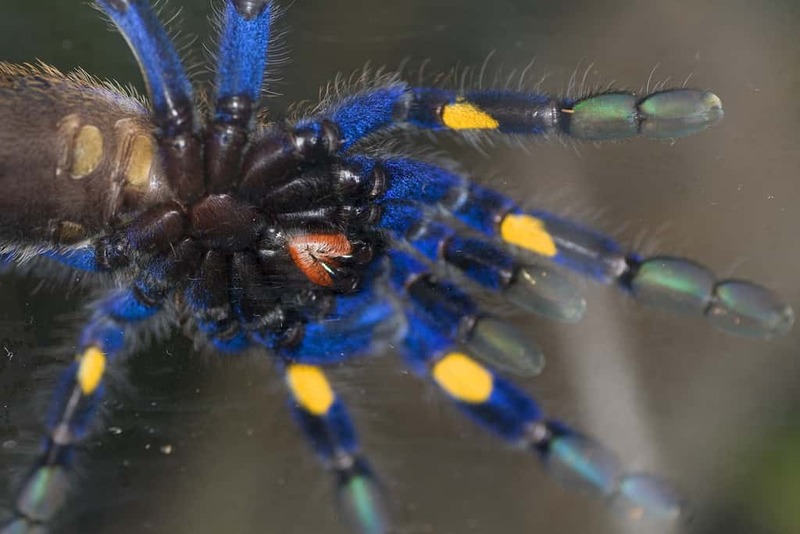 Unfortunately this fantastic looking spider is classified as critically endangered by the IUCN Red List. This is because much of it's limited habitat has been destroyed. Another threat identified by IUCN is specimen collection for the pet trade. 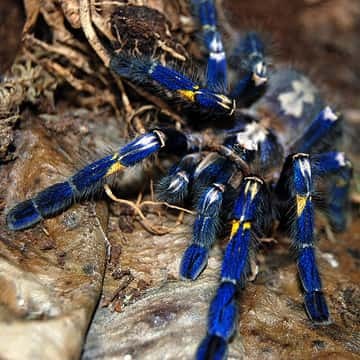 No human deaths have ever been recorded as a result of being bitten by the Poecilotheria metallica. The venom is however, considered to be medically significant and causes intense pain.